Or the predawn raid on Roger Stone. It was straight out of a poorly shot, badly lighted B-grade espionage movie starring Tom Cruise, except that the “star” was Roger Stone. 29 heavily armed FBI agents, a hovering, armed helicopter, frogmen in an amphibious assault boat in the canal behind his house, an armored troop carrier, a battering ram, and police vehicles with flashing lights, appeared on January 31st at Roger Stone’s Fort Lauderdale, Florida, residence to arrest Roger Stone on orders from Robert Mueller, via Christopher Wray, director of the FBI. As I have remarked elsewhere on various reports of the raid, the FBI came loaded for bear, as though they were expecting a fierce counter attack by Sitting Bull or Geronimo with ten thousand Indians ready to put up a furious fight and descend en masse on the hapless agents with war clubs, tomahawks, and scalping knives. Or, rather, instead, they were there to arrest El Chapo’s twin brother, or another Mexican drug kingpin with massive firepower to resist arrest. The manpower employed to arrest an unarmed 66-year-old man was ludicrous and would be comic if it weren’t a harbinger of the police state tactics employed by Mueller, tactics used to capture and kill Osama Bin Laden. 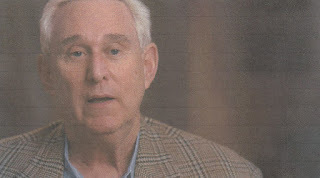 Many commentators state that the force used by the FBI in the Stone raid is a “take no risks” standard when agents are assigned to arrest a particularly dangerous or pawn-rich person, such as Roger Stone. After all, Stone is a closet Nazi, the MSM want to believe, and he and Trump daily practice John Cleese’s mockery of Nazis on Fawlty Towers. But the FBI – and Mueller – must have known in advance Stone’s age and the fact that he owned no weapon of any kind. But what crime is he guilty or innocent of beyond a reasonable doubt? And the message of terror in this instance is dictated by Robert Mueller, in connivance with Christopher Wray. The recording of the arrest is owned by CNN, who just happened to be at the arrest scene, because CNN’s “gut” told it that something was going to happen at Stone’s residence. 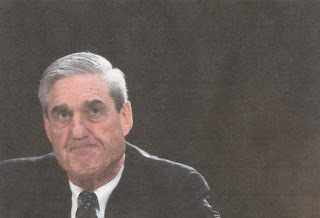 The “gut” has a name: Mueller and the FBI, who wanted a visual record that the FBI was obeying orders to humiliate Stone and warn others that this is what in store for anyone who defies Robert Mueller. As sly and calculating as Trump? "The truth of the matter is, if you read my book, "Stone’s Rules," I believe when you're falsely accused of something, and you say nothing, you say no comment, or Roger Stone was unavailable, most Americans assume you are guilty." "The whole purpose of this over-the-top raid on my house, in which they sent in more men than were used to protect our compound in Benghazi, was to paint a picture of me coming to poison a jury pool as public enemy number one," Stone said. The point here, is that Stone likely set up Mueller, not vice versa. He waited for Mueller to trigger his razzle-dazzle mouse trap to “trap” him. And Mueller will get nothing, because Stone will not rat on Trump, nor invent cheese for Mueller to nibble on. And the special investigator will add another zero to his growing list of zeroes, except for all the indicted victims who had nothing to do with Russian collusion. A donation to my PayPal account would be welcome.